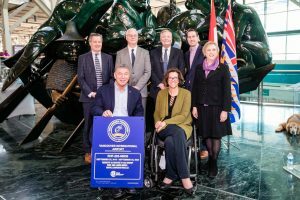 YVR has received an ‘Accessibility Certified Gold’ rating under the Rick Hansen Foundation Accessibility Certification (RHFAC) program. YVR is the first airport to receive the rating and is the highest rated building in the program. 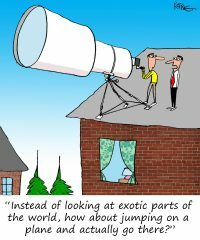 The RHFAC program is based upon the holistic user experience of people with varying disabilities affecting their mobility, vision and hearing and is the first of its kind to measure the level of meaningful access beyond building code standards. To date, more than 1,100 buildings across B.C. are registered to be rated. 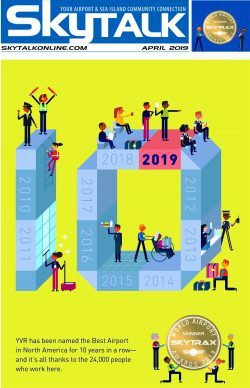 In achieving this certification rating, YVR has removed barriers and improved accessibility for employees, passengers and partners—achieving the highest score of any rated building to-date with 93 out of 100 points. For more on the Rick Hansen Foundation Accessibility Certification program, please visit rickhansen.com/RHFAC.